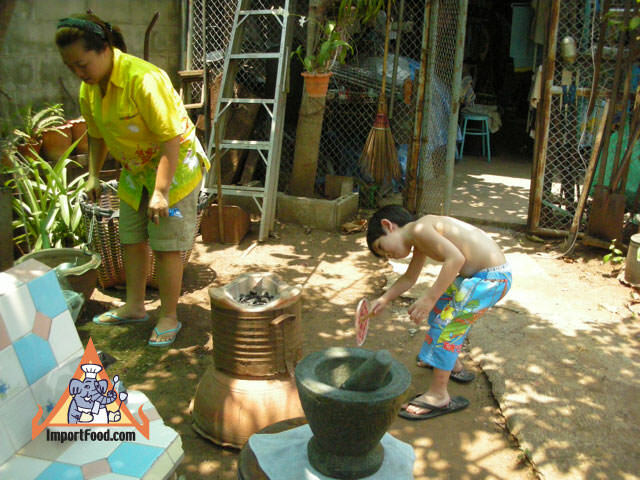 Here is our son Jason in April 2010 in Kanchanaburi Thailand, preparing the charcoal for Khao Soi. Since we started ImportFood.com in 1999 we've been extremely fortunate to have the support of kind customers who enjoy our products, our recipes, and our Thai street vendor video series. Because of you, we can continue sharing this passion with our website visitors as well as our own kids. Jason started traveling from his home in Seattle to Thailand at the age of 1, staying for months at a time, always on the sidelines as we create recipes, and film our Thai street vendor friends. 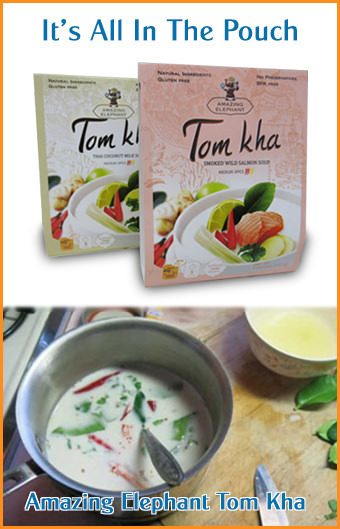 He's very enthusiastic about cooking and eating Thai food. Here is our video showing how to make authentic Khao Soi (one of our all time favorites, see recipe here).